The part that cover the cables under the sit on the driver's side broke off, I took it to the upholstery shop but they cannot fix it, do you know where can I find a use or new part for my Seville 1989? Can you tell by looking at this picture what part broke off and you need? 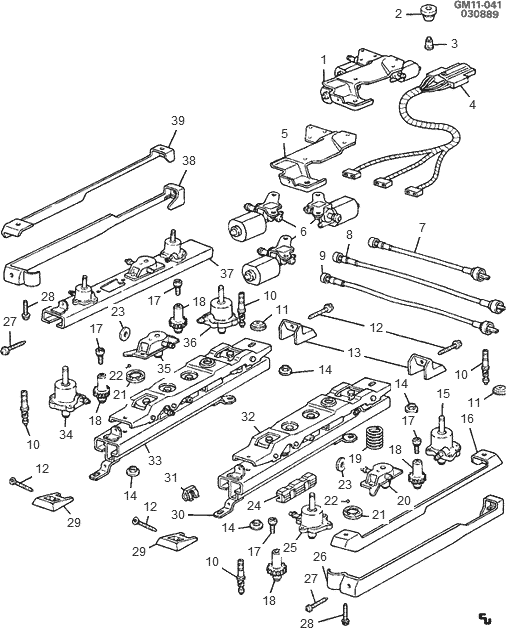 Once you find it, here are the available parts. If it's not available there, let me know. I would put in a request at http://www.junkyarddog.com/ They say they have a database of over 5,100 Used Auto Junk Yards, this is the largest list of dealers of used auto parts ( used auto spares ) on the net. 1988 seville: digital dash does not come..Maybe loose connection?